The notch is here to stay – or at least, that’s what it looks like when you consider all the smartphones that have launched over the past few weeks. 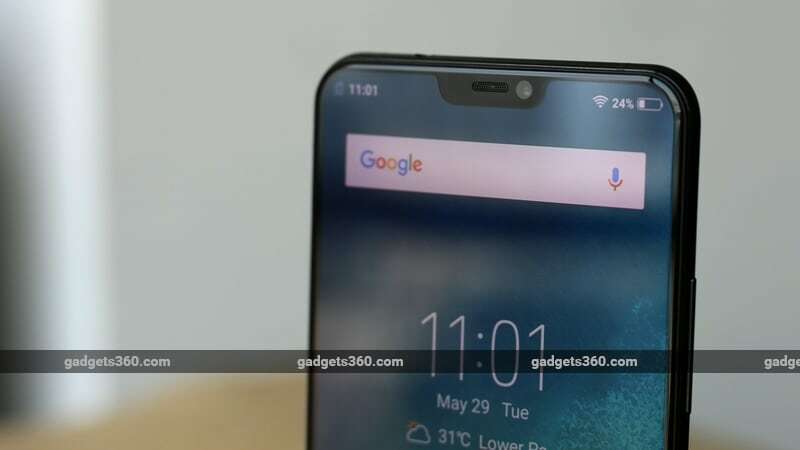 Vivo was the first to introduce the notch on an Android smartphone in India with its Vivo V9 (Review), and we have recently seen more examples such as the OnePlus 6 (Review) and the Huawei Honor 10 (Review). Vivo is now once again quick to claim another first in India. The X21 is most notable for its fingerprint sensor which is embedded under the display glass. We were able to spend some time with the Vivo X21 prior to its official launch, and here are our first impressions. With the new X21, Vivo has introduced its X series in India, creating a tier above its V series. The packing is a little different from what we’ve seen before, with a large FIFA logo on the box, primarily because Vivo is one of the sponsors of the FIFA World Cup in Russia this year. Vivo has launched special editions internationally, but there is no news of such a version making its way to India yet. The box contents are fairly straightforward. Apart from the Vivo X21 itself, you get a pair of in-ear headphones, a fast charger, a Micro-USB cable, and a case. Hold the Vivo X21 and you will find that it has a premium feel, thanks to its metal frame and glass back. We found that the glass back does pick up fingerprints so you might need to put the supplied case to use. The screen has thin borders at the top and the sides but the bottom is comparatively thicker. The Vivo X21 isn’t too heavy at 156.2g. It has a dual camera setup at the back, positioned towards the left, along with a single-LED flash. The phone does look a lot like the Vivo V9 from the back – sans the fingerprint scanner. The power and volume buttons are on the right, and are within reach when holding the phone. The left side of the Vivo X21 is completely blank. At the top, you still have a 3.5mm audio socket which can be used to plug in your headphones. Interestingly, the SIM card tray is at the bottom, next to the Micro-USB port and speaker grille. We aren’t thrilled to see a Micro-USB port, and feel that Vivo should have opted for USB Type-C for this phone. While we have become used to having fingerprint sensors on smartphones, not actually seeing a physical one on the X21’s body does feel odd. Vivo has integrated the scanner into the display glass, making this the first phone in India to have such a feature. The X21 also offers face recognition to unlock your phone, using the selfie camera. The front is dominated by a 6.28-inch fullHD+ AMOLED display with a 19:9 aspect ratio. The phone has a pre-applied screen protector despite using Corning Gorilla Glass 3. Just like most other AMOLED panels, this too has punchy colours but we will reserve our detailed comments for the full review. The notch at the top houses the earpiece, the selfie camera, and other sensors. Pick the phone up and you will see that a fingerprint icon lights up in the lower middle of the display, showing you where you’ll need to place your finger. Press down on it, and it will glow brighter while it scans for prints. Vivo suggests that you apply a bit of pressure for better results. There’s also an animation that plays when scanning your finger, which does look cool. We found that the symbol stops glowing when the phone is left idle for a while. 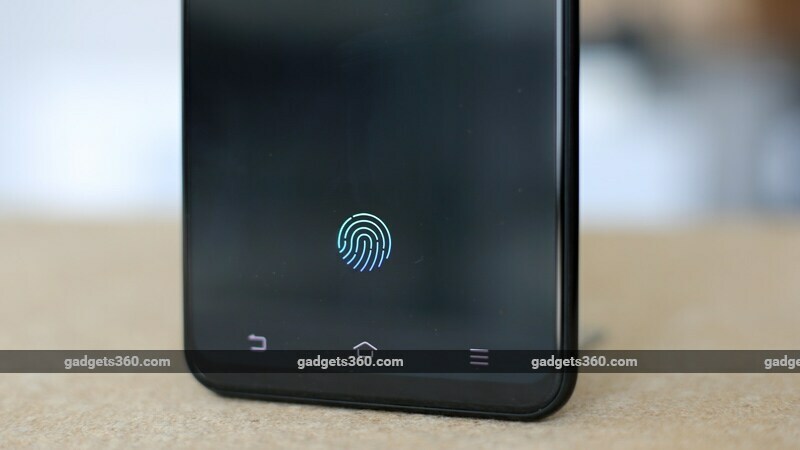 You will need to hit the power button, double-tap the display, or pick the phone up to reactivate it, making it slightly less functional than a conventional fingerprint scanner. For more on this and how it works, do stay tuned to Gadgets 360 for our full review, coming up soon. Powering the Vivo X21 is a Snapdragon 660 SoC, which is an octa-core processor clocked at 2.2GHz. There is 6GB of RAM and 128GB of storage. You do have the option to expand storage using the hybrid SIM slot, but will have to sacrifice the second SIM. The smartphone runs on Android 8.1 Oreo with Vivo’s custom FunTouch UI 4.0 on top. What is interesting is that the X21 is also a part of the Android P Beta programme that Google is running right now, meaning that the phone has a good chance of being updated to the upcoming version of Android quickly. The dual camera setup on the X21 consists of one 12-megapixel sensor along with a 5-megapixel secondary sensor. The primary camera has dual-pixel technology and a f/1.8 aperture, and is capable of capturing 4K videos at 30fps. At the front you get a 12-megapixel shooter for selfies and face recognition. We had a brief chance to fire up the camera app, and we found that the primary camera is super quick to focus. We will test it further and get into the details of photo quality in our full review. To keep the smartphone going, Vivo has dropped in a 3200mAh battery which is non-removable. You get a fast charger rated at 18W in the box, which we hope can top this phone up quickly. We will be putting the Vivo X21 through its paces and will be thoroughly testing the new in-display fingerprint scanner as well as all the usual details including performance, battery life, software, and build quality in our full review, coming up soon. 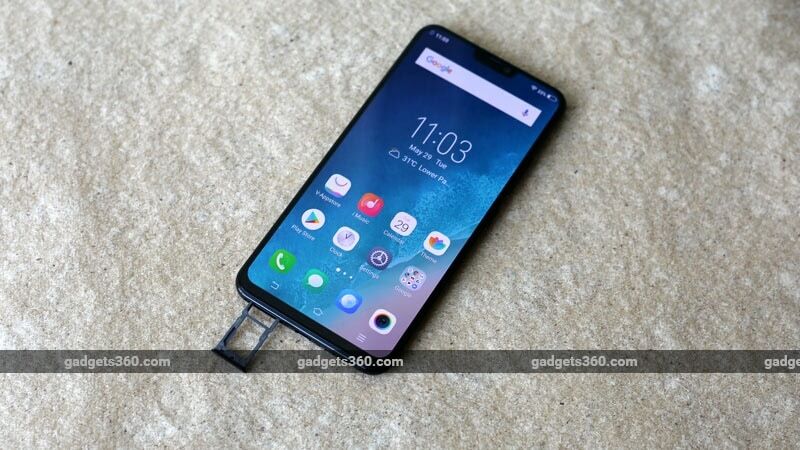 Is Vivo X21 the future of smartphones or an overpriced gimmick? We discussed this on Orbital, our weekly technology podcast, which you can subscribe to via Apple Podcasts or RSS, download the episode, or just hit the play button below.